The Bell Tower Arts & Entertainment Complex will create and maintain an exciting and inclusive space by offering art, music and social events that all members of the community will feel welcomed to attend. 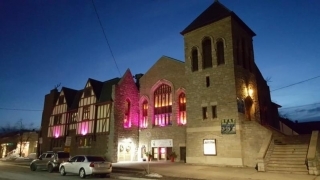 From live bands to drag and tribute acts, The Bell Tower brings quality local, national and international talent to Fort Erie. There are three separate spaces in one building that can also be rented to create your own special event. The Bell tower facility has hosted weddings, celebrations of life and kids karaoke birthday parties.